Contact: More information can be found at www.cool2bekind.org/join.html. You can also follow the club on Instagram at @cool2bekind. Cool 2 Be Kind president Esther Mafouta said she became aware of the issues of bullying when one of her siblings was bullied in middle school. 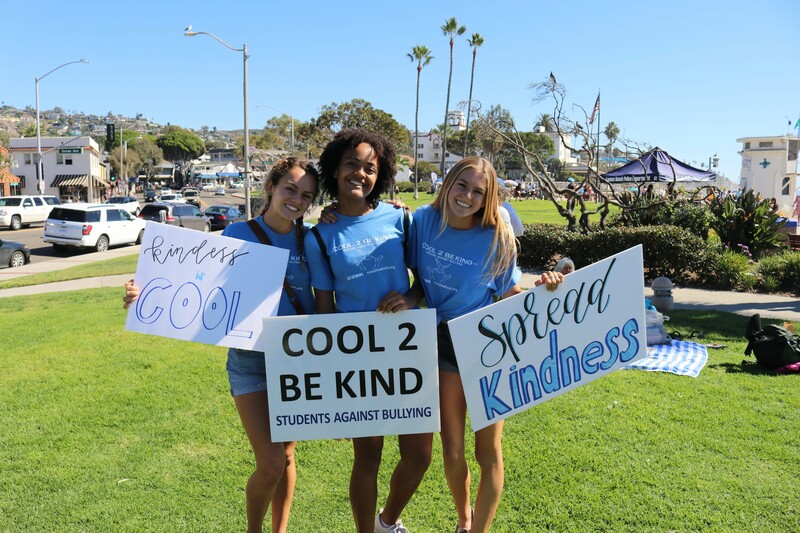 Those events led her to the organization Cool 2 Be Kind, a longstanding club at San Clemente High School (SCHS) that aims to stop bullying incidents. 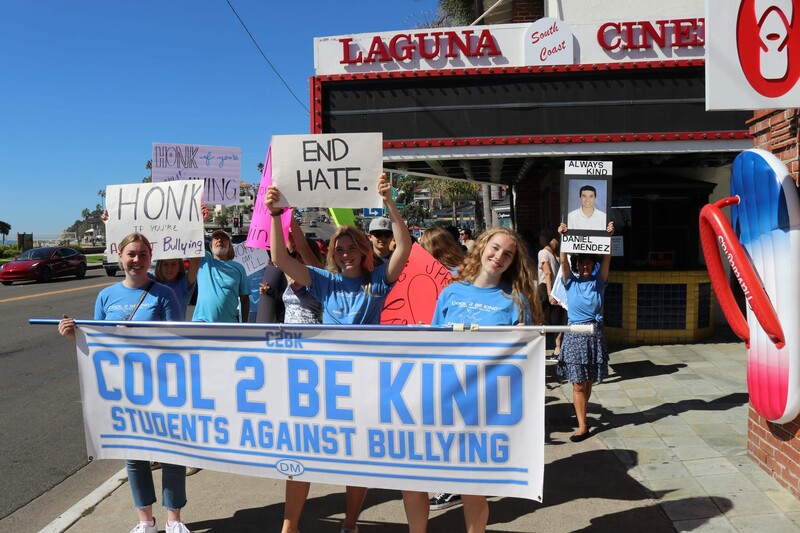 Mafouta, a junior at SCHS, and her fellow schoolmates are rescheduling the People’s March Against Bullying at a date to be determined (after hard rains came on Feb. 2), on the lawn of the San Clemente Community Center and the San Clemente Library, located at 242 Avenida Del Mar. There will be guest speakers who will talk about the issues surrounding bullying. In years past, the march or gathering was hosted in Laguna Beach. “We just want to show that we stand against bullying, not just as a high school but as a town, and anyone is welcome: teachers, parents, students,” Mafouta said. The club began out of tragedy after a sophomore student attending the high school, Daniel Mendez, completed suicide in 2009, and it is believed that it was due to being consistently bullied. Students are able to speak with ambassadors of the club at monthly meetings that are conducted by Cool 2 Be Kind, which are primarily overseen by the student-members. 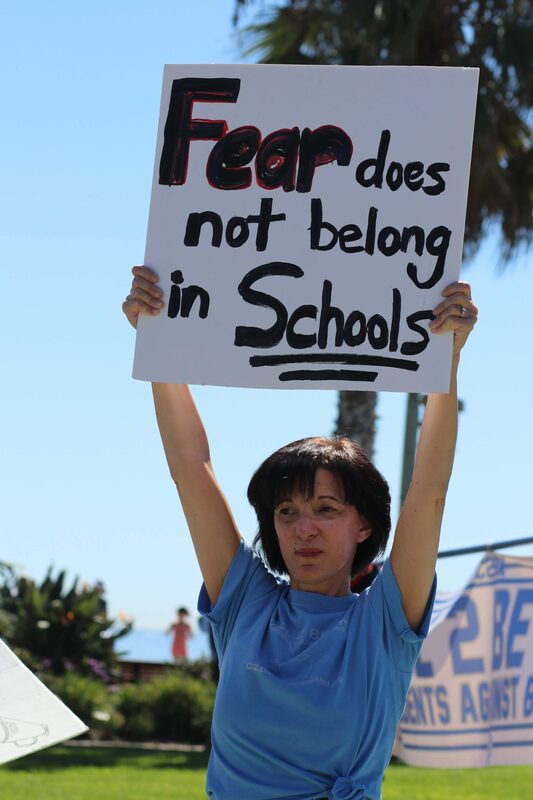 “On the campus of San Clemente, we try to change the culture and let students know that it’s a safe space for everyone,” Julia Parr, a club secretary, said. There are other ways that bullying seeps through the visible cracks. Facebook, for example, used to be lauded as a unique tool that connected the world’s communication—now, it’s sometimes seen more as an emotional septic tank, and vitriolic comments festoon just about everything that’s posted. But life behind a screen is far less visible than in person. Even if/when Facebook and other platforms get their acts together, that doesn’t stop technology from enabling the worst in people. It takes a concerted effort to enlighten people who instigate cyberbullying of their actions, and victims may never return to such platforms; why would they want to? 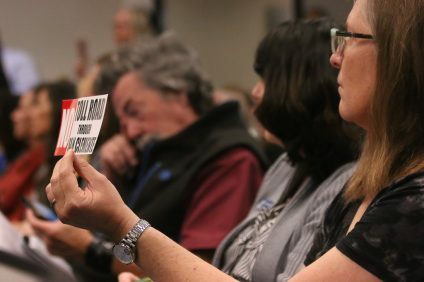 The policy of the Capistrano Unified School District (CUSD) is that school personnel are required to intervene if bullying is reported by a student, which can include harassment, discrimination, intimidation and other forms. 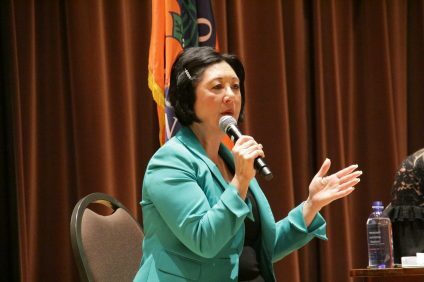 The district mandates a report must be filed with the district within 24 hours of a bullying complaint. The federal government’s website, www.stopbullying.gov, has a list of resources on bullying and cyberbullying. Cool 2 Be Kind members advise people who are victims of cyberbullying to block the person committing the act or to leave the online group, and to focus on the positives social media platforms provide. They said if it persists beyond that, inform a trusted adult. The club stresses these issues at middle schools, when children may most likely be trying out social media for the first time. 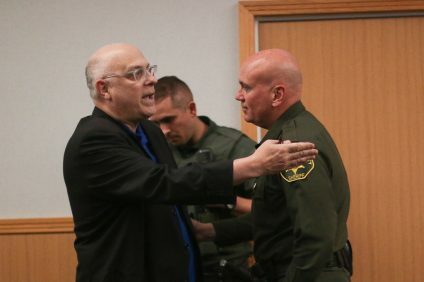 “A lot of the people who come to us, if they’re having a lot of problems with (a) bullying incident, we refer them to the school counselors, and if it’s important enough, we take it to the administration,” Mafouta said. She said the club also reinforces the bystander’s responsibility to report or intervene in bullying incidents to stop the offenses. One week out of the year in early or mid-February, SCHS hosts Blue Ribbon Week with the intent to curb any trends of bullying and to inform students of the dangerous repercussions it can have on fellow students. The “anti-bullying movement” has been prevalent in schools for years now, but the issue of bullying hasn’t been eradicated. Club members couldn’t really say whether bullying has increased or decreased since its inception, but they said it does have a unifying effect. Tate Nelson, a sophomore who is one of the club’s recruiters, said he took stock of his own actions after joining Cool 2 Be Kind this year. He said when he was younger, he wished he would have stopped short of saying some of the things he did to other classmates. The club has more than 150 students who signed up to join. Outside the leaders of the club, members are somewhat deputized to talk about what they observe on campus from week to week. Editor’s note: Many organizations in the South Orange County region use and prefer the term “completed” suicide rather than “committed,” although there is no legal disambiguation of the two terms in this context.